The PVD technology offers excellent possibilities in decorative as well as in functional fields of application. 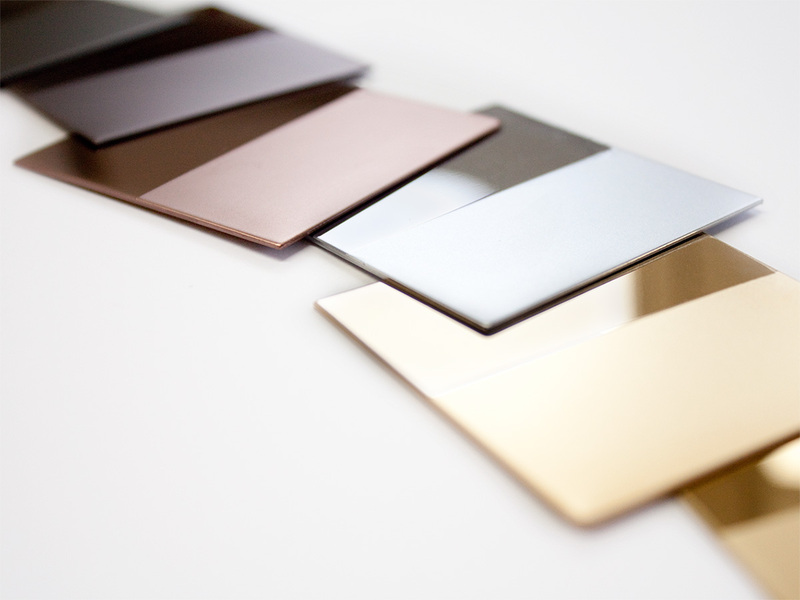 The PVD processes with arc vaporisation and sputtering of different materials result in perfect surfaces, with not only brilliant quality of colours, but also excellent mechanical properties. Physical Vapour Deposition is a process during which the target material is vaporised by bombardment with laser beams, magnetically refracted ions or electrons, as well as by arc discharge. How many atoms, ions or larger clusters are in the vapour, varies from process to process. The vaporised material moves through the chamber either on trajectories or led by electric fields. It condenses on to the parts to be coated, thus forming a layer. The layers deposited during the PVD process depend on the composition of reactive gases and target material, forming either nitrides or carbides, or mixtures of both. These layers offer a hardness of more than 2000 HV as well as very good scratch and abrasion resistance. Chemically as well as electro-chemically, these layers are very inert and guarantee protection against many corrosive agents.